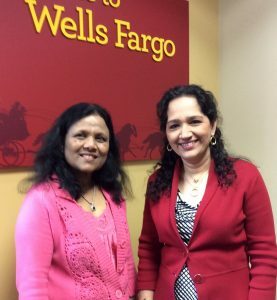 Cash a check, make a deposit, transfer funds, apply for a credit card, open a new account, secure your valuables in your safety deposit box, or ask for budgeting advice: our Wells Fargo Branch bankers make it easy for you. 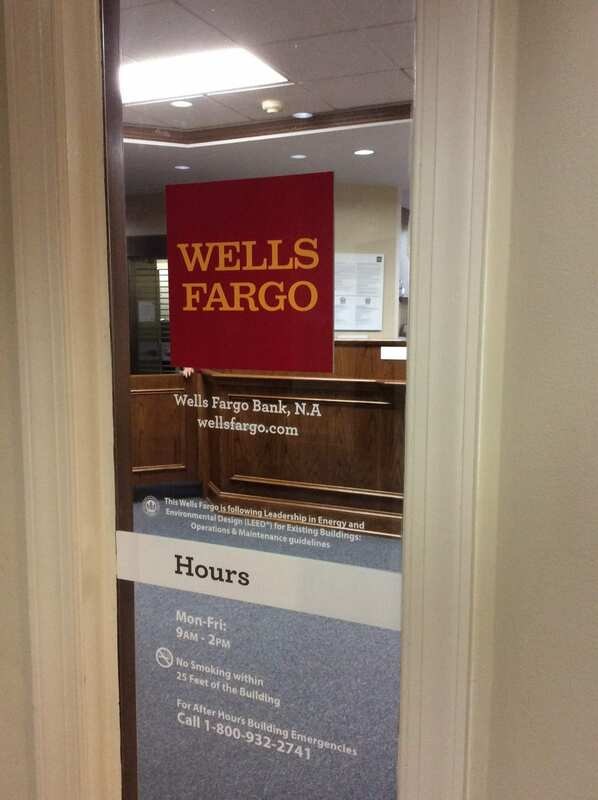 Located in the front lobby near the mail service, we have brought banking to the residents. Walking to the bank has never been easier. No need to drive to your branch or get out in the rain, our full service branch is on campus and under the same roof as our dining room and convenience store located in the North Village. Vidya Iyer, our Wells Fargo Branch Manager, has been at Springmoor for twelve years. 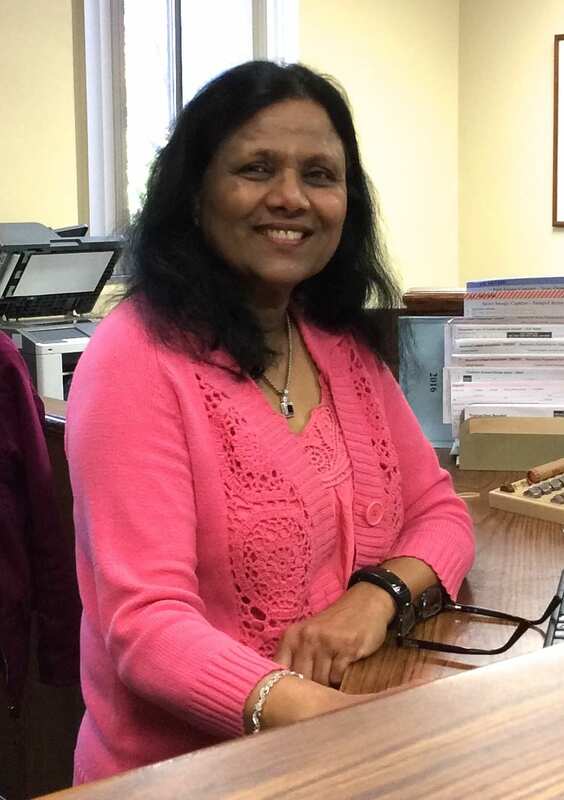 When asked what the best part of her job is, she says with a big smile, “The residents, they are unbelievable people! 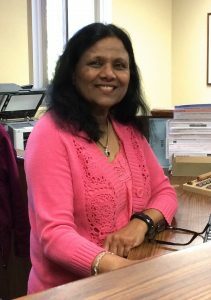 I simply love my customers and feel blessed to have such a rewarding job.” Daily, she handles budgeting questions, financial counseling, estate planning and has even taken a resident’s cat to the vet. “It’s truly personal banking – to the core.” The bank has over 350 customers, a small branch but certainly a large one for the community. 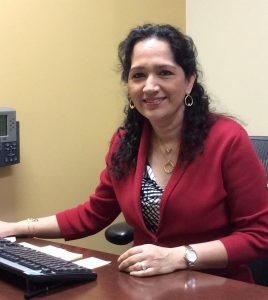 For the past six years, Sue Gupta, our Wells Fargo Teller has been serving our residents. She too, says the residents are her favorite part about working at Springmoor. “They are all so nice.” They make it such a great place to work. 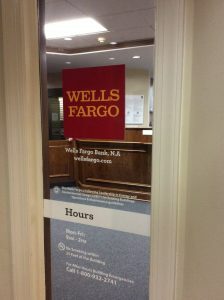 Wells Fargo has a 30% market share in the area so many residents have been customers prior to their move to Springmoor. It’s easy to transfer an account from one branch to another after your move to Springmoor. If a resident prefers to continue banking with their previous bank and open a smaller account here, even if it is only a small checking account, they are happy to help with this service. Having access to a safety deposit box that is only steps away from your front door is great for our residents who want to keep their legal documents and family heirlooms in a secure location. There are more than enough boxes for everyone at Springmoor, which isn’t always possible at a larger branch with many more customers. Residents can visit the branch during the business hours of 9-2 Monday through Friday or by appointment. Vidya says she is often here on Friday afternoons and Saturdays to meet with families. Transferring accounts or adding family members to an account can be beneficial to everyone. She is happy to meet with customers when it is most convenient for them. Setting up new paperless procedures for a direct deposit can be handled with ease when she explains the process. Letting the bank pay the monthly bills is a convenience that most everyone enjoys. Keeping track of what bill is due on what day or losing an invoice in the stack of junk mail can be a difficult task for all of us. Vidya and Sue are here to take this job off of your to-do list. From First National to First Union to Wachovia and now a Wells Fargo, the branch has been in it’s corner spot for twenty five years at Springmoor. Serving the residents with an extra dose of personal banking is what makes this branch not only a bank but also part of the family.